And this year we would like to send you something else – we will wait and see how many of you want to join in before we decide what to surprise you with on our postcards!!! Step 1: We will draw, craft, and/or art our postcards during the month of October. Step 2: Comment on this post before the end of September. Step 3: Immediately, head over to our contact page, just follow the link, and mention Post Card Swap and your snail mail address… I won’t have time to check to see if you send us your address or not… you have to do this!!! Now if you have sent us your address for a previous swap or giveaway you still have to send it again – I don’t keep your addresses, thats just the minimalist in me…delete, delete, delete. Step 4: Once we have all your addresses in, by the end of the month then we will send our postcard to you with our address on it. Finally: This swap is open to any of our blog following friends… if you live next door or at the furthest side of the world… and you want to play… then comment away!!! We want to join in! Off to send you our snail mail addy! Count us in for the postcard swap! We did this last year, and are so excited to do it again! Yay! Oooh, we’ll play! We enjoyed last year’s one! We did it last year and it was very exciting. Count on us! yayness another swap. Count me in. Loved your township last year. Yes please. Did it last year. Thought I’d already posted. I love to read your blog and so I would to join the swap. Great idea. We would love to play, too, please! We’re all in for the fun! Loved your postcard last time! We love swapping postcards! M loves collecting them at the Post Office, so count us in! I´d love to get a postcard from you. I like to read your blog in my morning coffee break. Sounds like great fun. We are in! What a lovely idea! 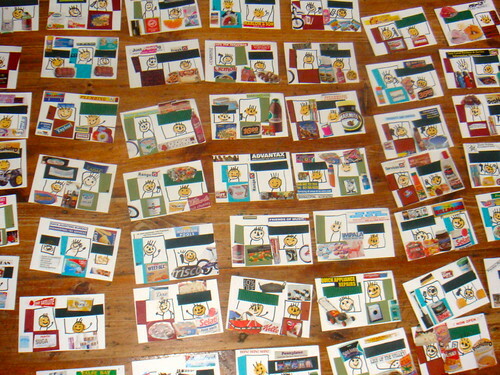 My children will love joining in on this postcard swap. Absolutely in. 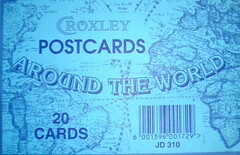 I love postcards; most of the entries on my Web site are postcards of a sort! Woo hoo! We would love to join the swap. My 4 little one’s love getting mail. We would really enjoy receiving and sending a postcard! Love your blog and would love to swap postcards! I know we really live really close but we’d love to play. It was such fun last year! We will join. So fun. Such a fun idea! We’re in! yeah! i’ll head over to leave out snail mail. can’t wait! count us in – we love getting mail!!! We’d love to join in! We’d love to swap with you! sounds wonderful 🙂 working on the postcard! Yes please we would love to be in the swap! Yes we would like to join. HI Karyn… Your address is very unlikely to be lost!!! But we are still making our postcards – we do make them one by one and we did have about fifty to make… So your postcard is pending but they should all be on their merry way by the end of next week… I will go through all the addresses and check that they match up with the comments and so on… I will certainly blog the momentous event of the post cards getting sent out into the world and you can expect yours a few days after that… Thanks for asking – you haven’t been forgotten!!! Hay Karyn, Just addressed them – you are in!! !